Golfers placing corporate and society bookings at any of QHotels' 10 golf venues will be able to reap their own reward on the High St thanks to the UK's largest golf resort operator introducing Golf Rewards, a new loyalty scheme. With every golf event booked, for 12 or more golfers, the group organiser will be rewarded with High St shopping vouchers by way of a ‘thank-you'. And the big-brand names include John Lewis, Marks & Spencer, Boots, Debenhams, and Love2Shop, among many others. Plus any event booked by April 13, to take place before the end of the year, will be eligible for double rewards, meaning even more High St fun. Alan Foley, QHotels' group golf sales and marketing manager, explained: "We value the business that golf organisers place with us and we never take it for granted, because we know they have a choice. "So we always look to say ‘thank you' in one way or another and this new Golf Rewards programme gives them something back where everybody can appreciate it." 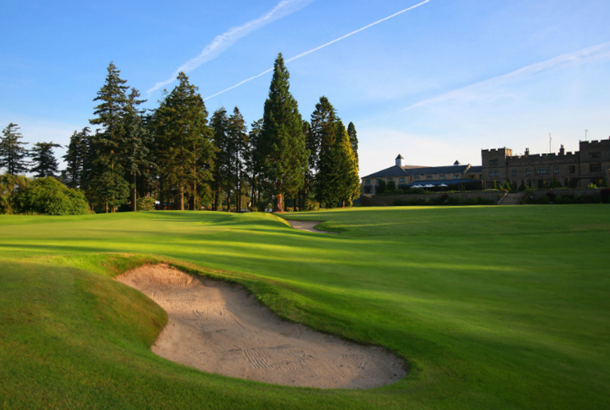 The four star QHotels group offers championship-standard courses at great locations including Slaley Hall (pictured) - voted ‘Best Golf Hotel/Resort in the North of England' for the third successive year in the 2017 Today's Golfer Travel Awards and host of 18 European Tour and European Seniors Tour events - Belton Woods, Oulton Hall, Mottram Hall, and Forest Pines Hotel and Golf Resort. *To discover more visit www.QHotels.co.uk/golf-rewards.